Minnesota’s governor Mark Dayton just signed the first law requiring smartphones to be sold with pre-installed antitheft software, now commonly referred to as a kill switch. The new Minnesota law will be effective on July 1, 2015. Prior to the passage of Minnesota’s Chapter 241, SF1740, California had failed to pass a law that would require similar functionality. 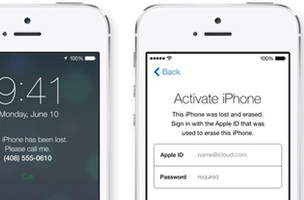 Most major phone makers and wireless carriers have already signed a voluntary agreement stating that they will provide antitheft tools for mobile users as early as 2015, but as we all know, voluntary agreements are not practical as most businesses already operate on a voluntary basis, and most phones already come ill-equipped with anti-theft protections. Professional estimates claim that anti-theft tools like a real ‘kill switch’ would save consumers up to $2.6 billion annually – mostly through insurance savings. Last year, American consumers lost $30 billion from stolen devices, which accounts for nearly 1 in 3 robberies.